Our 2016-2017 Traveling exhibition now has its own website! Go to http://sdafiberfusionshow.org/ to see it. The entry form will be up there on January 15 and entries are due by March 20, 2016. Thanks to SDA member Claire Jones for doing such a beautiful job on putting this together. If you haven’t ever entered a juried show, this is a terrific opportunity to learn the process. We’re planning to do several blog posts to help our membership and readers learn all you need to know for completing and submitting a show entry. Please let us know if there are specific topics you’d like us to cover. We’d love your comments and suggestions on the website, as well as any questions you might have on the process. Pad Your Artistic Resume by helping out! Local Operations Chair –Sees that artwork is checked in, finds volunteer to store packing material, assists in the installation, finds volunteers for the reception, assisting at the workshops and presentations, counting of ballots, signage, placement of postcards. Repackage art for transport, store art, transport to next venue. Send thank you notes. Local area PR and Marketing—Sees that lists of newspapers, association newsletters, galleries, stores, and interested individuals are developed. Prior to the event, coordinate flyer or postcards to stores in the locale. Find reader-boards and volunteers to distribute with posters and balloons for the opening reception and take down after the reception. Portfolio—Develops portfolio of artists’ photos of art and artist statements. Fundraising–Send letters out to list of companies targeted as potential donors, followup, write credit information for promotional materials. Catalog—Arranges for professional photographer to take images at first venue, develops catalog with lead article, jurors’ statements, artists’ photos, and artists’ statements. Works with printer through completion of catalog. Please feel free to share your thoughts here in the comments. We’re looking forward to seeing the fantastic range of artwork from our members in 2016. 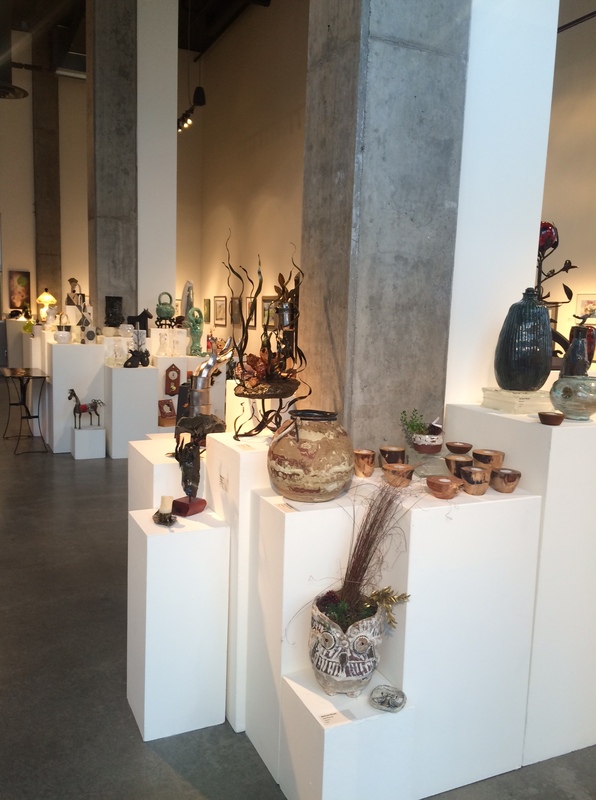 Your Chance to Show (or teach) at Schack! 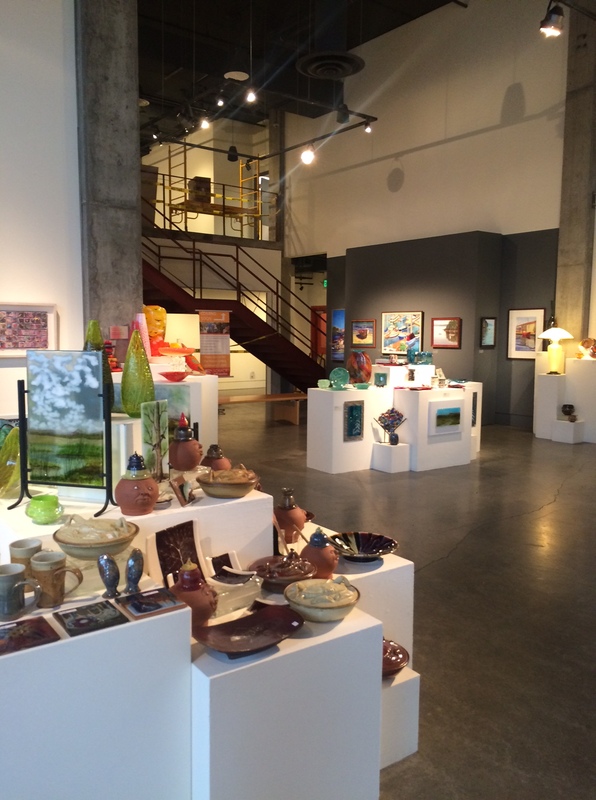 If you’ve never been to the Schack Art Center in Everett, you need to put it on your “To Do” list. Today, Barb Matthews, the WA SDA state Rep, and I met the curator at the Schack to discuss our upcoming “Fiber Fusion” traveling exhibition. 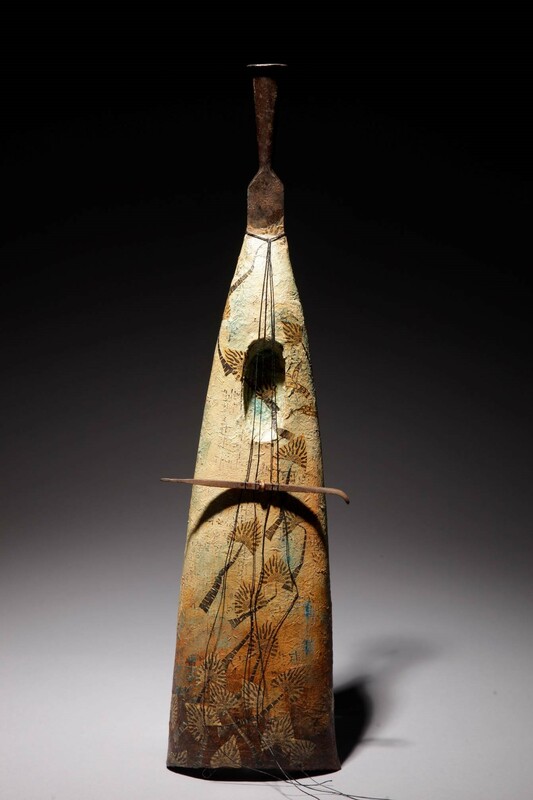 The Schack will be the final home of our WA state galleries hosting this show. While Barb and I have both visited their gallery for other exhibitions, we were completely blown away with all the exciting spaces and changes going on. If you’ve been there, you know the space is big. Well, guess what? They’re getting bigger! They’re just completing building out their second story- almost doubling their space. Part of their preparation is due to their upcoming exhibit of internationally known printmaker Chuck Close. His work will be featured in both the lower and upper galleries from May-September 2016. 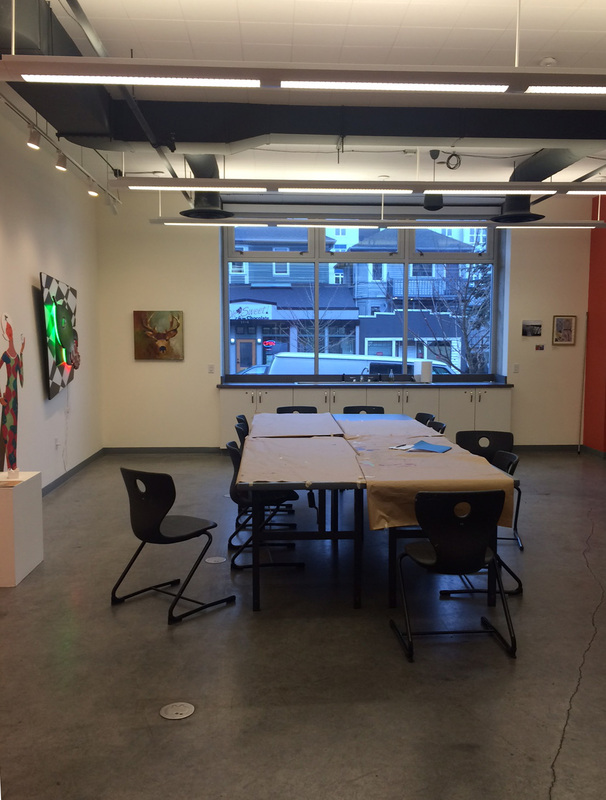 Not only do they have an amazing gallery space, they also have incredible classrooms- even ones with running water- good for “wet” processes! 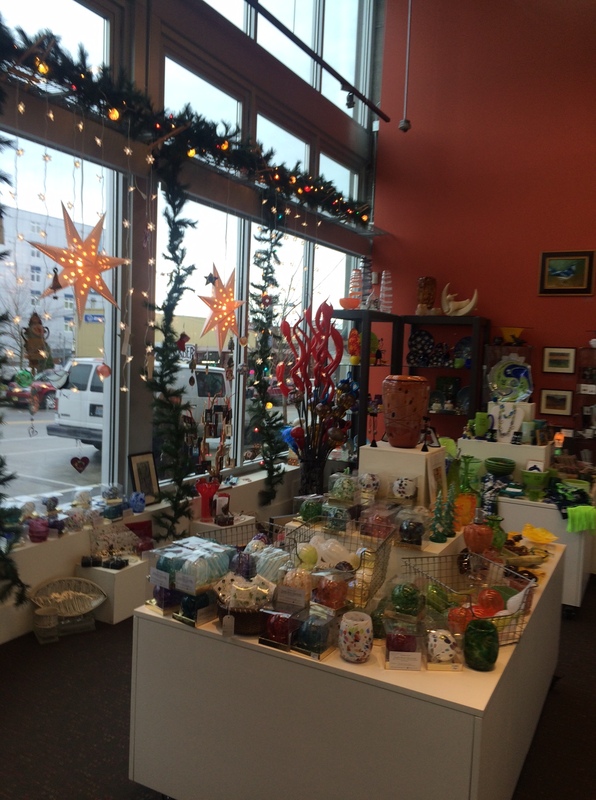 They will also have specialty classrooms for printmaking, drawing/painting, glass, metal-working, and lapidary (cutting and working with precious stones.) We’ll be posting calls for teachers of different surface design techniques for the time frame of our exhibition there, but if you’re looking to lead classes or teach, you can find out how to submit a proposal for classes on their website here. They’re particularly interested in getting some more printmaking classes for 2016. 3-D Artists will really appreciate all the different sizes and shapes of their pedestals, as you can see here. Interested in making art cloth? They can hang from the ceiling on both levels! And, of course there is plenty of wall space too. 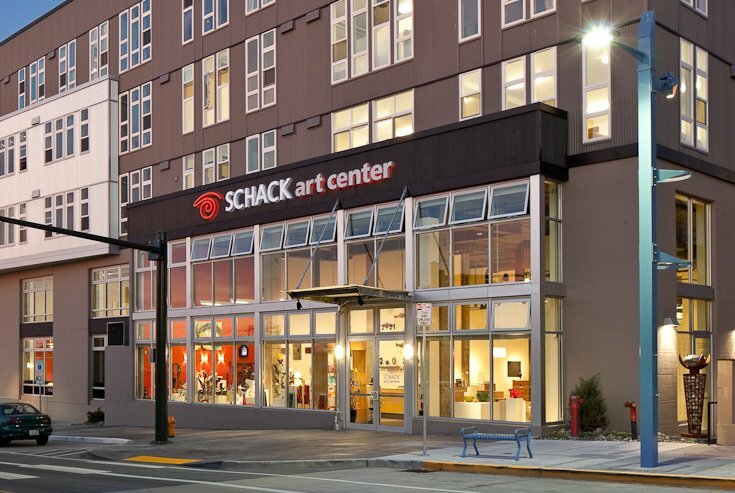 For those SDA members who are ready to sell commercially, the Schack’s store will love to look at your work, particularly to be coordinated with the time of our exhibition. They also have an incredible marketing and PR person and the exhibition will be seen in all sorts of news media and on radio. So, how do you get in on this incredible opportunity? Get into your studios and start creating! The requirements for the Fiber Fusion exhibition are online at https://surfacedesignwa.com/fiber-fusion/ and we’ll soon have a dedicated website for our show. The entry deadline is Sunday March 20, 2016 at midnight, so there’s still plenty of time. Hope to be seeing your work soon!